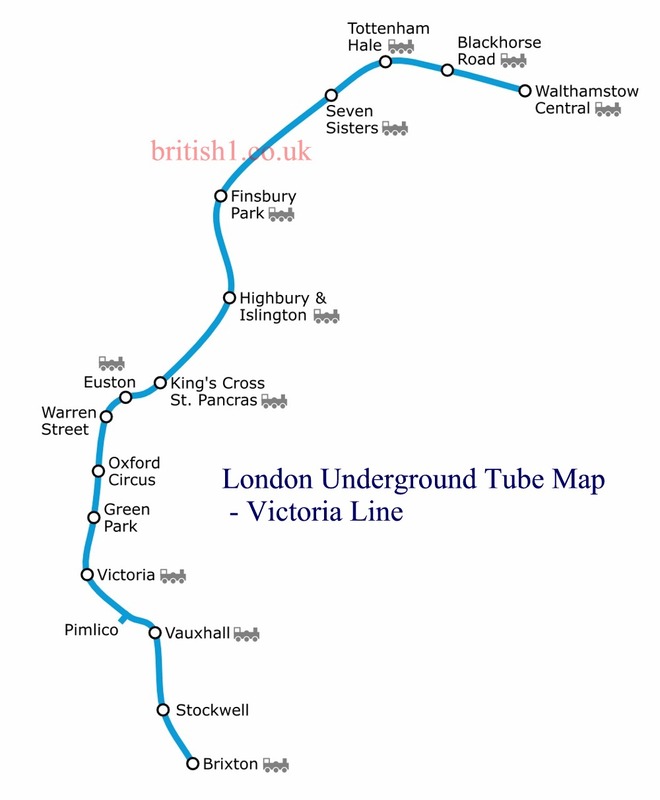 The Victoria line is part of the London Underground system and is a deep-level line running from the south-west to the north-east of London. It is coloured light blue on the Tube map and, in terms of the average number of journeys per mile, is the busiest line on the network. It is the only line on the Underground, except for the two-stop Waterloo & City line, where the entire line is operated underground, with the only section of track to emerge above ground being the route to the depot from Seven Sisters to Northumberland Park. The line has hump-backed stations which allow trains to store gravitational potential energy as they slow down and release it when they leave a station. This provides an energy saving of 5% and makes the trains run 9% faster. 174 million passengers use the Victoria line each year. Each platform is 130 metres long.